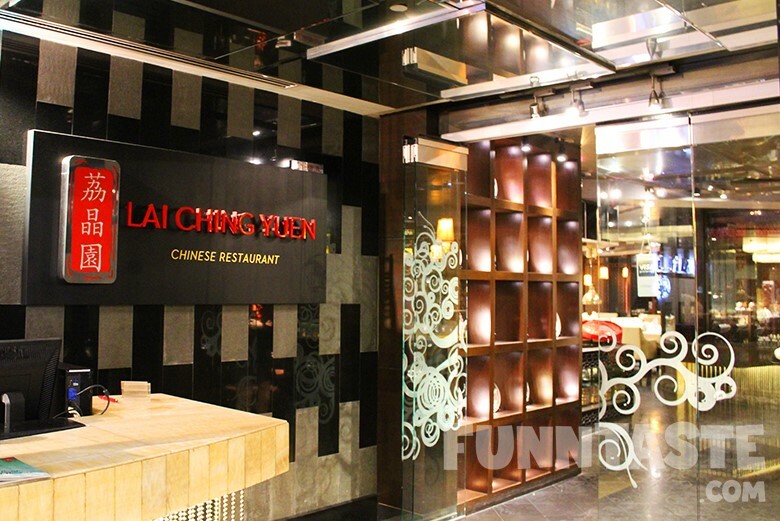 Lai Ching Yuen is one of the few Cantonese restaurants in a hotel that still serves pork, preserving its essence as an authentic Cantonese restaurant. 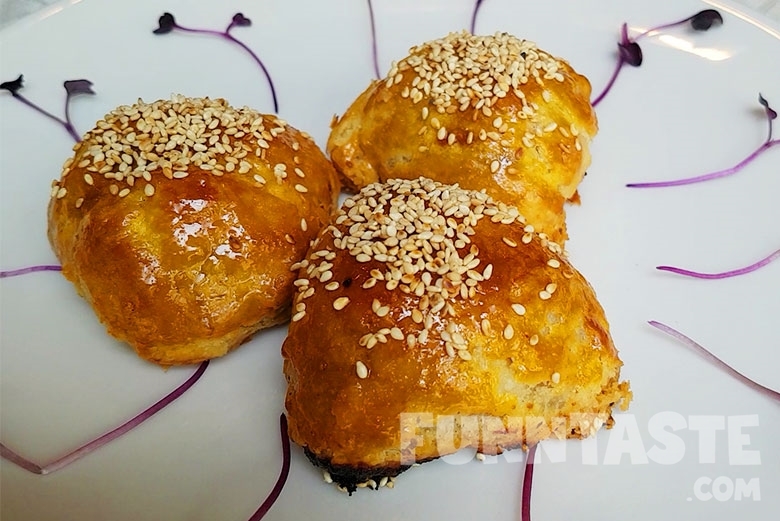 Last year, we tried their all-you-can-eat dim sum and it was amazing. 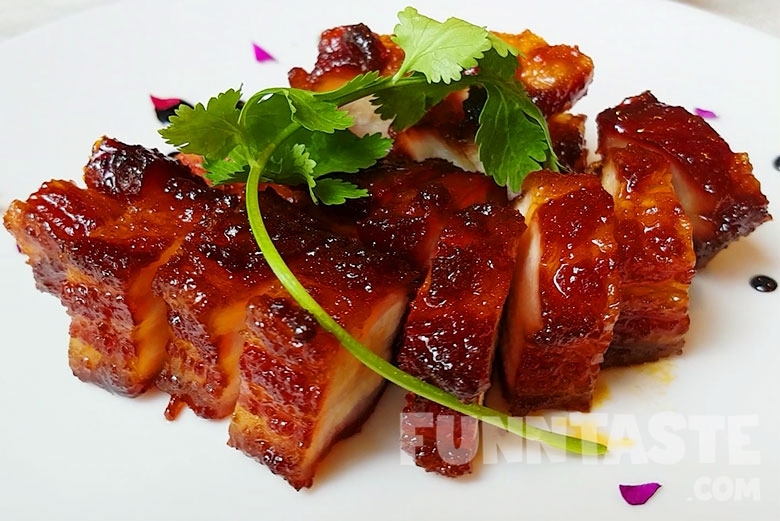 This time we’re back there to taste some of their signature pork dishes. 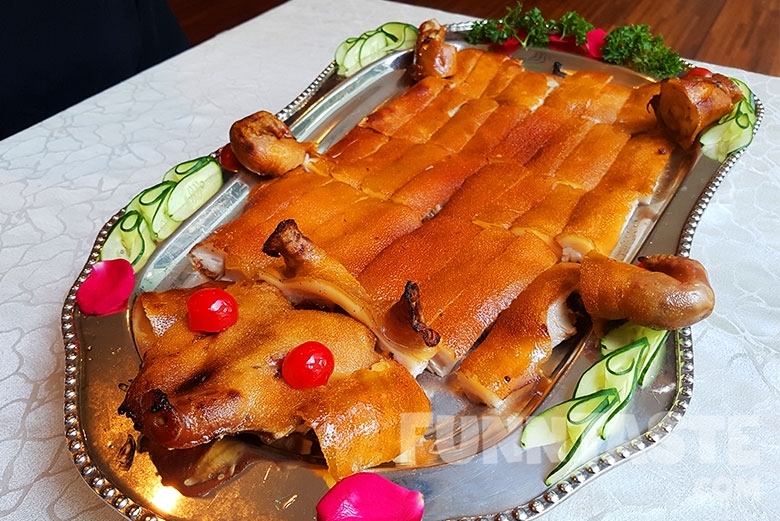 A whole Roasted Suckling Pig here costs RM500+ and it is seriously one of the things you got to try. The one we had weighed 1KG and can be shared up to 6 people. It was nicely roasted; the pork had a perfect crisp with great texture and flavour. Do note that this dish is super addictive, if you have one you’ll like keep chowing down more. If you are keen to try this dish, it is advised to make a reservation as they don’t serve it every day. 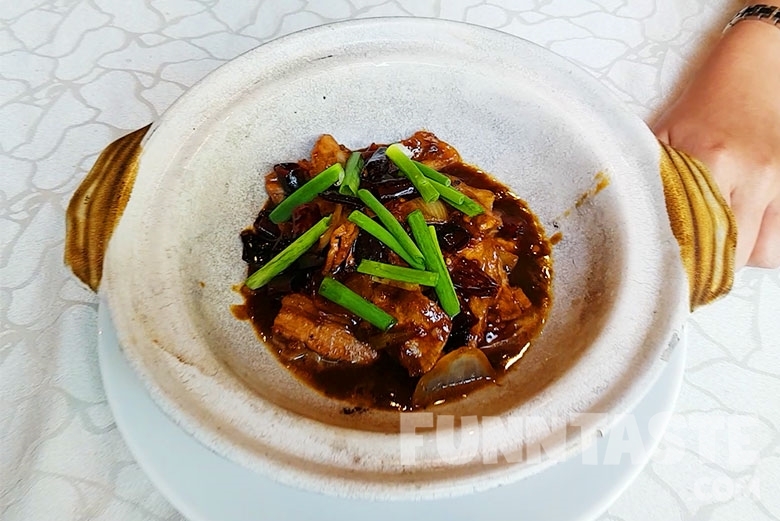 Another popular item at Lai Ching Yuen is the Claypot Pork Belly With Salted Fish, where pork belly is cooked in high heat with ginger, a generous amount of scallions and red onion for a bit of texture. The pork belly slices were juicy and came with enough fat for flavour. Since it was cooked with salted fish, this dish can be a bit one-dimensional in terms flavour—salty, therefore it is best to tone down the saltiness by pairing it with a bowl of white rice. Next up, we also sampled their Char Siew or Cantonese Style BBQ Pork. As simple as it looks, this is one of our favourite dishes here. There was a good balance of savoury and sweet flavour. We also liked that they are very generous with the meat, it was thick and chunky! Of course we can’t leave Lai Ching Yuen without ordering their house special Dimsum. Aside from Siew Mai, we had Deep Fried Bun with Lean Pork. We really liked how crisp and tasty the skin was, and the pork was also nicely seasoned and juicy.